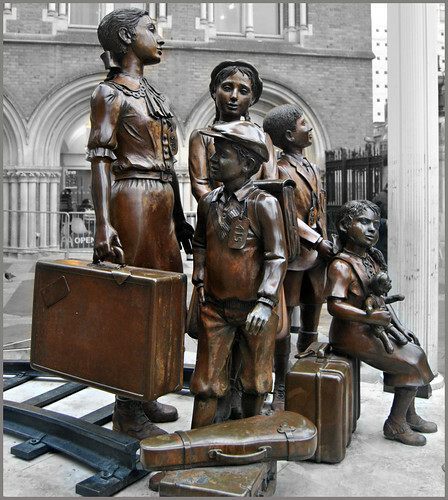 Took this image today while on a city walkabout..
Hope Square is dedicated to the Children of the Kindertransport, who found hope and safety in Britain through the gateway of Liverpool Street Station. Association of Jewish Refugees, Central British Fund for World Jewish Relief, 2006. The sculptor, Meisler was one of the children saved. Selective colour used with ipiccy..